The University of Rhode Island and the State of Rhode Island announced three Innovation Campus Projects last December, which will combine academics with commercial businesses. According to a press release from the office of Governor Gina Raimondo, the three projects will be supported by $12 million from a $20 million bond approved by Rhode Island voters in 2016. However, private investment into the projects from various involved businesses is projected to exceed $122 million. The first project, The University of Rhode Island and Arizona State University Innovation Hub, will research cybersecurity, big data analytics and the Internet of Things. The hub will also educate students and train employees interested in these fields. It will be located at both Providence and a central innovation and entrepreneurship space on the URI Kingston Campus. High profile businesses such as Cisco and Fidelity Investments have already expressed interest in collaborating with the $11 million dollar hub. This project is expected to launch through joint research activities this spring. The Rhode Island Innovation Hub, or “iHub,” began as a partnership between URI, Brown University, IBM Alpha Zone and MassChallenge to support the creation and acceleration of startups. 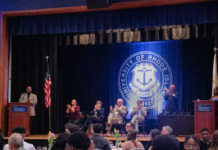 The functions will not only be open to URI and Brown students and faculty, but also to other rising startups in the state and faculty and students from other Rhode Island colleges. In addition, iHub will be “industry agnostic,” according to Flynn, since startups from many kinds of fields will be supported. iHub is projected to cost around $8.7 million, and will be located in the Providence Innovation and Design District. This project is expected to get started this upcoming fall. Finally, URI, in partnership with RI Agricultural Technologies, will launch the Ag Tech Park, which was initially titled the Rhode Island Agricultural Innovation and Entrepreneurship Center. The center will educate and train students in cutting-edge agricultural procedures and products. The project will be located near the Kingston Campus and is over 50 acres. It also includes over 25 acres of greenhouses and a 15,000 square foot Agriculture Innovation Center. A completion date for the project has not been set, but according to Rumsey, the completed project could grow between 8 to 10 percent of Rhode Island’s agricultural needs. One of the biggest goals of these projects is to create jobs in Rhode Island. Rumsey said that the initial creation of these campuses will create short-term construction jobs, while each project will require program coordinators to work. In addition, all three of the programs will have opportunities for academic courses, research opportunities, and internships for URI students. 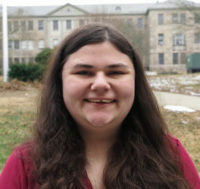 Jamie Mernick, a sustainable agriculture and food systems major, believes that the Ag Tech Park could be an important a hub for agriculture faculty and students to grow. However, Mernick is concerned about how realistic some of the goals for the projects are. Faculty have shown excitement about how the projects can benefit their research. A second round of funding is set to be awarded later this year. According to Flynn, the funding may either be allocated to the three current projects, or be used to fund entirely new projects.